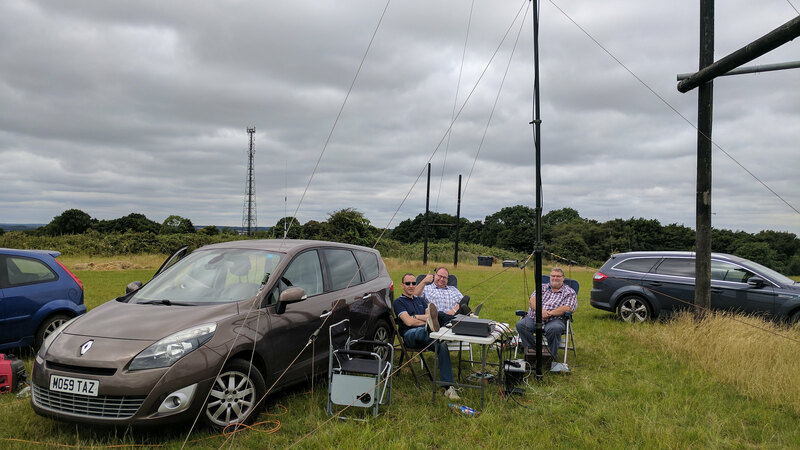 The RSGB 70 MHz Trophy Cup ran from 11 till 5 on Sunday, Team SNBCG assembled at the Kelvedon Hatch Secret Nuclear Bunker. 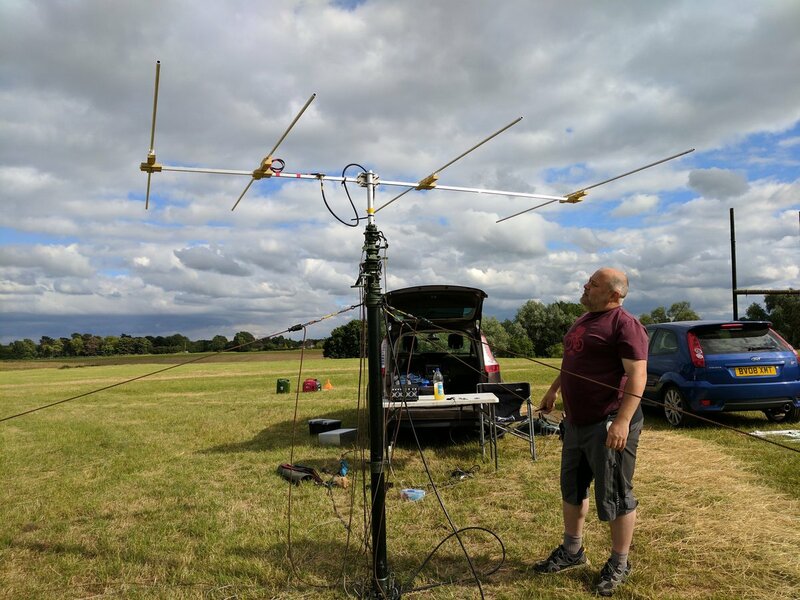 The contest promotes activity on 70 MHz, but it just one of many contests run by the RSGB to promote activity on the amateur bands. 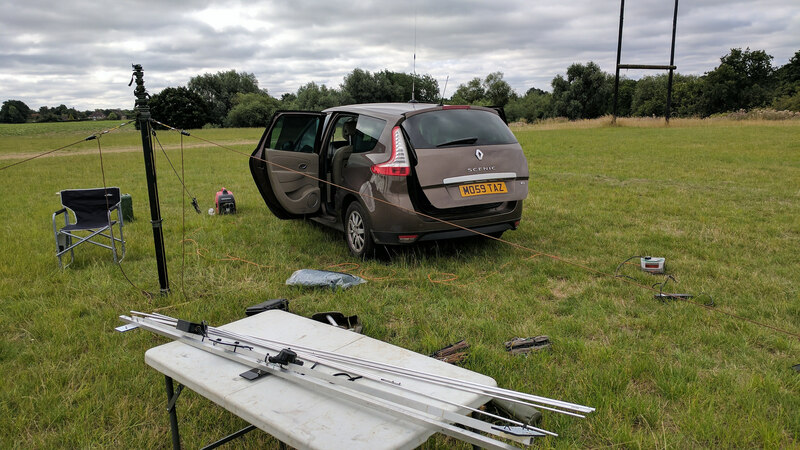 The beam was homemade, 6 elements on 70 MHz using a 4m boom. 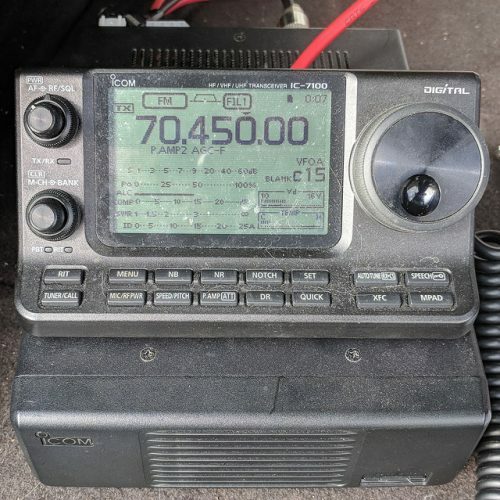 We used John M0UKD newly acquired Icom 7300 and George M1GEO Expert 1.3K-FA amplifier to provide 160w PEP. 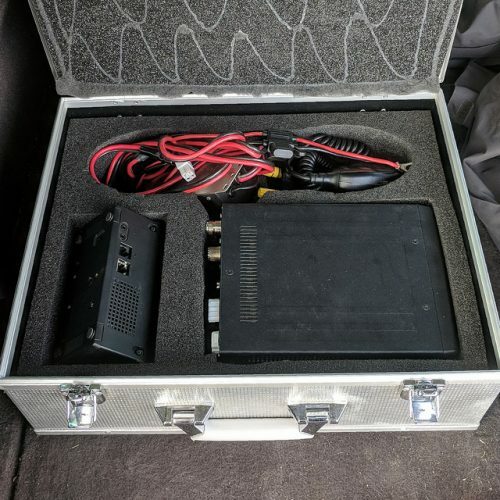 The contest exchange was a little more involved than some and included signal, serial, locator and first two letters of your postcode. 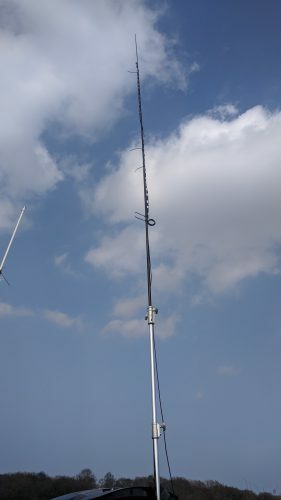 A 12m push-up mast provided the support for a homebrew 6e beam. The beam had recently been reworked with some new insulators and the boom has been split into 2 parts to facilitate easy transportation in the car. 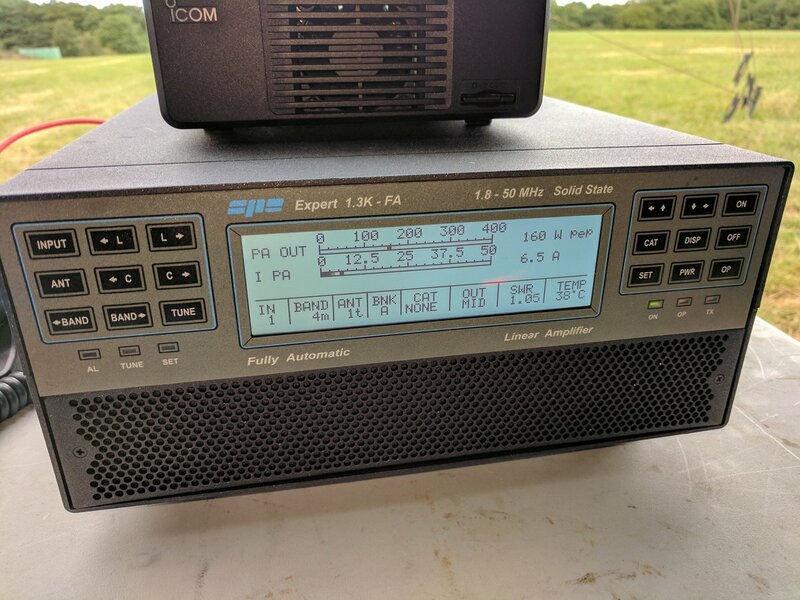 We operated alfresco using a 2Kw Honda generator to provide the power for both the amplifier and radio. 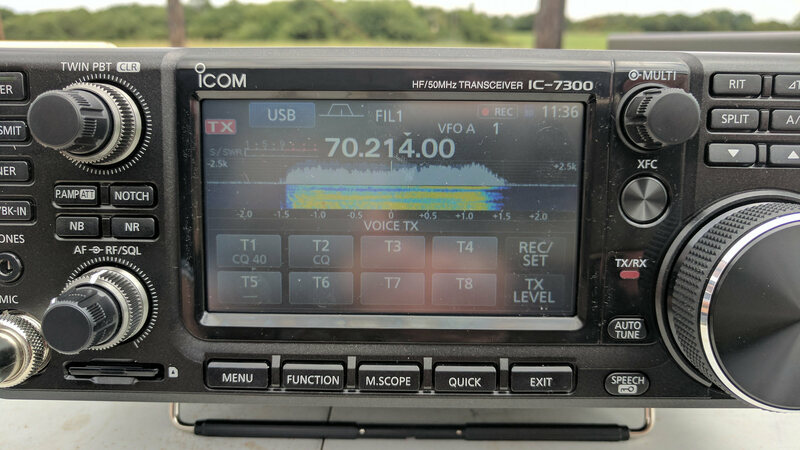 The screen on the Icom 7300 looked very nice, and the waterfall was helpful in finding band activity. 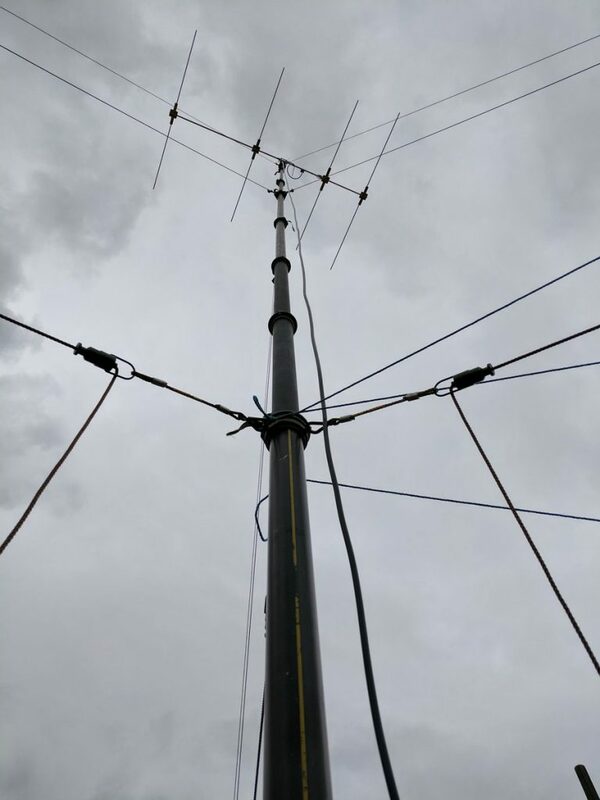 The band had a fair level of activity, with a number of the regular contest stations evident on the bands. 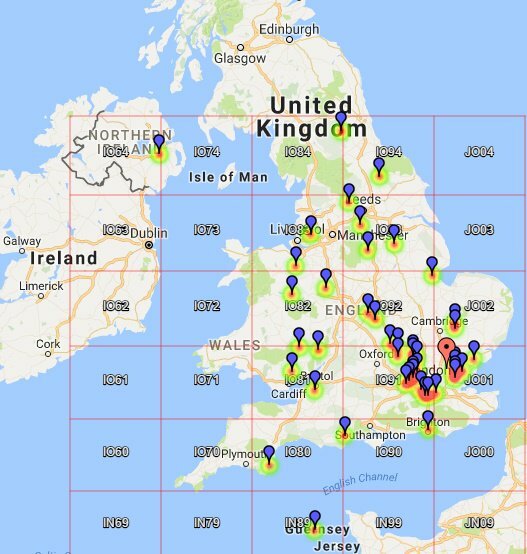 We managed to work 74 stations in 7 countries. England, Scotland, Wales, Northern Ireland, Gurnsey and the Netherlands. A map of the QSO can be seen below. 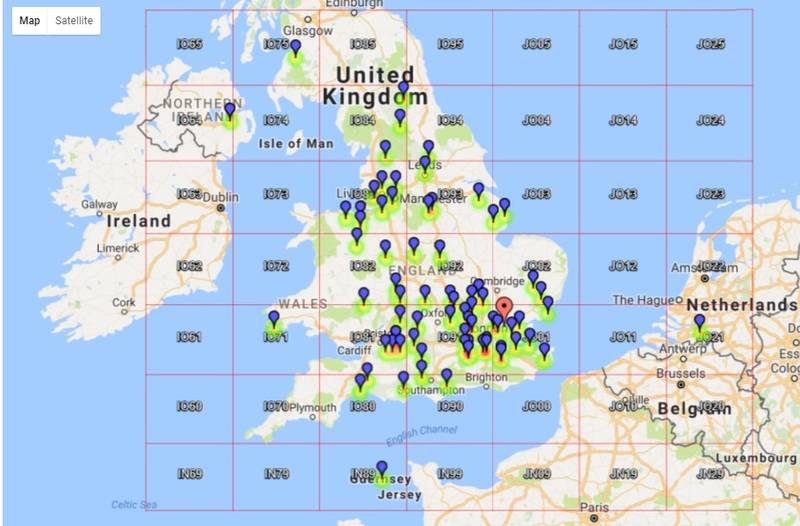 The RSGB CC run a series of cumulative contests through the year, you can partake in either a fixed station or out portable. I prefer to operate out portable, as this gives me a significant advantage to attempting this from home. 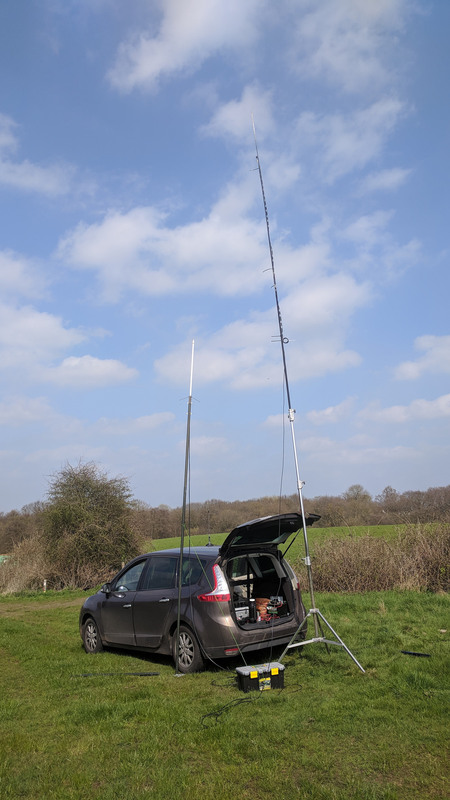 Using our contest site at Kelvedon Hatch SNB and with the assistance of John M0UKD we set up the following station. 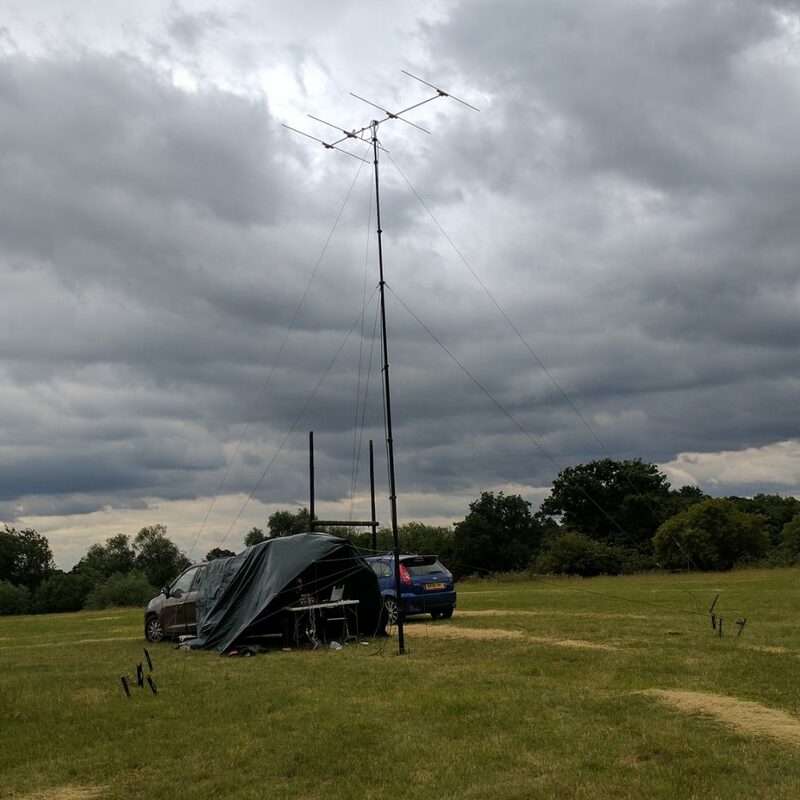 The weather was forecast to be dry and breezy and so we opted to set up in the fields overlooking the bunker and the mast. 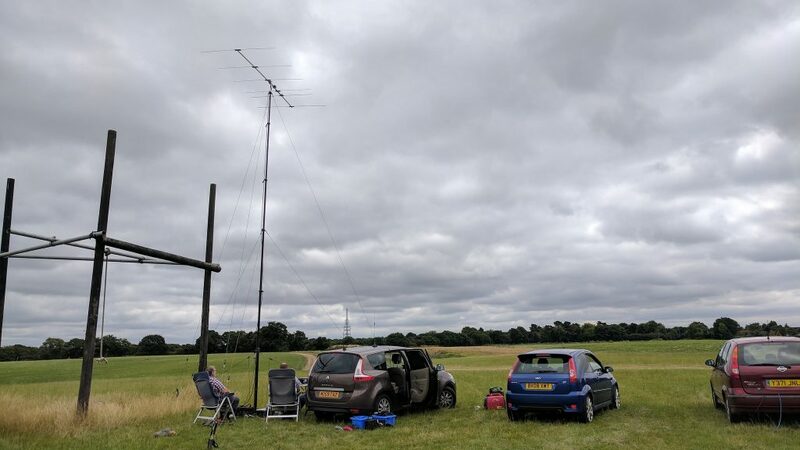 The contest ran from 3 till 5 pm, and with around 1hr setup time to organise the portable station, you can maybe see why some people operate from home. It’s quite a lot of effort for a 2hr contest, but on the positive side, you would expect the activity to be condensed into this short timeframe. 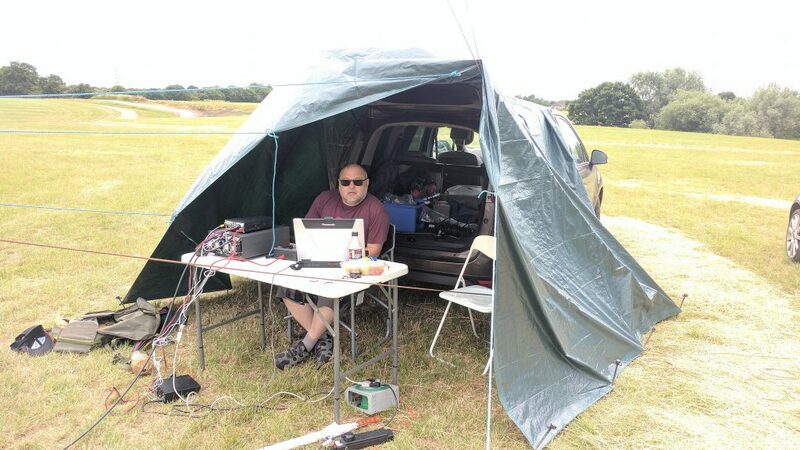 The makeshift shack was constructed to keep out the wind, and the odd spot of rain. 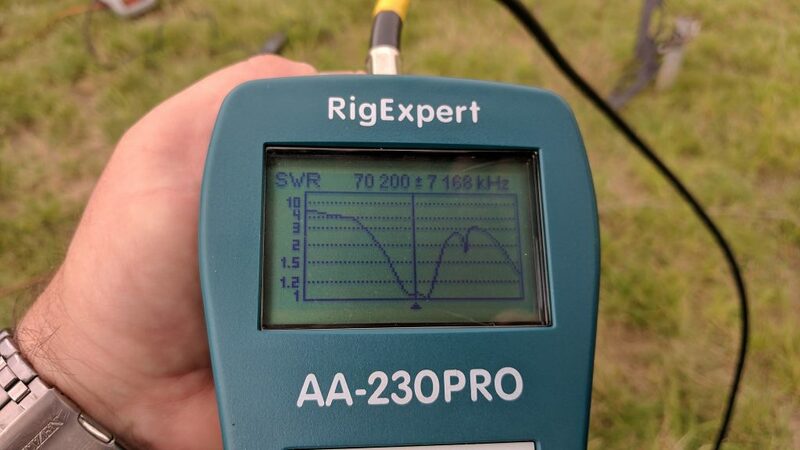 The beam worked really well, having very good directivity and F/B ratio despite its small size. 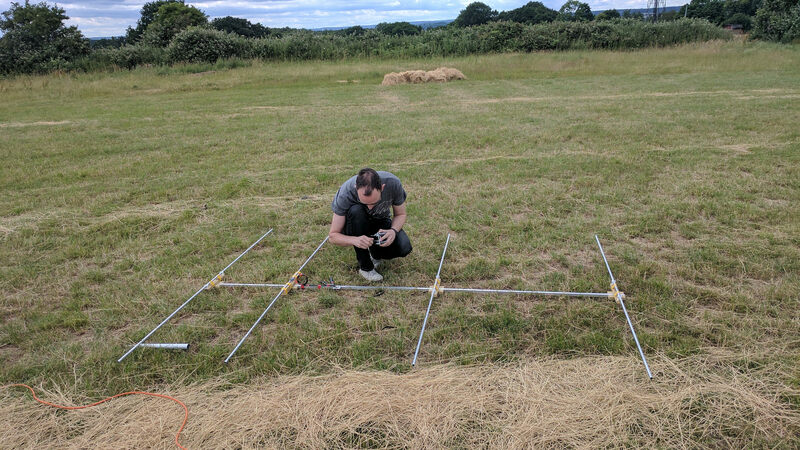 Over the course of the next 2 hrs, we worked 45 stations, in 4 countries. England, Wales, Guernsey and Northern Ireland. 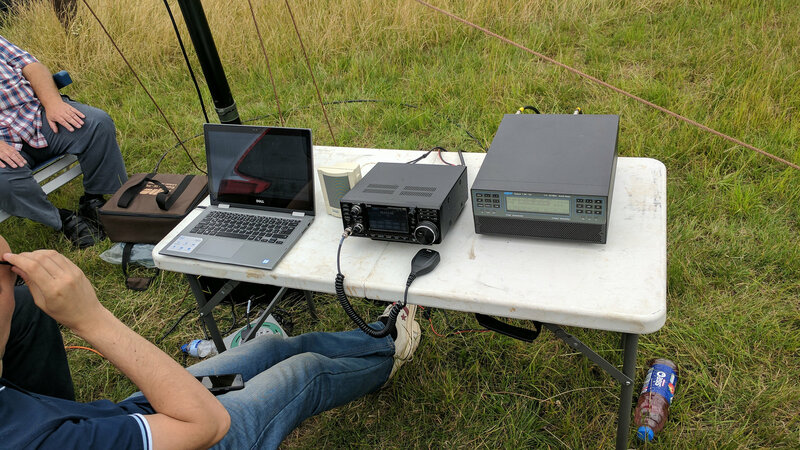 Our best DX was GI4SNA at 527 KM. You can view the claimed scores online.